Hazel Green was a hotbed of secession, there being but five Union men in the country. The Federal troops gave the shiftless inhabitants a novel entertainment by raising the stars and stipes on a hickory pole that stood in the main street, and the band played patriotic airs, which, being neither appreciated nor understood, fell on stony ground. 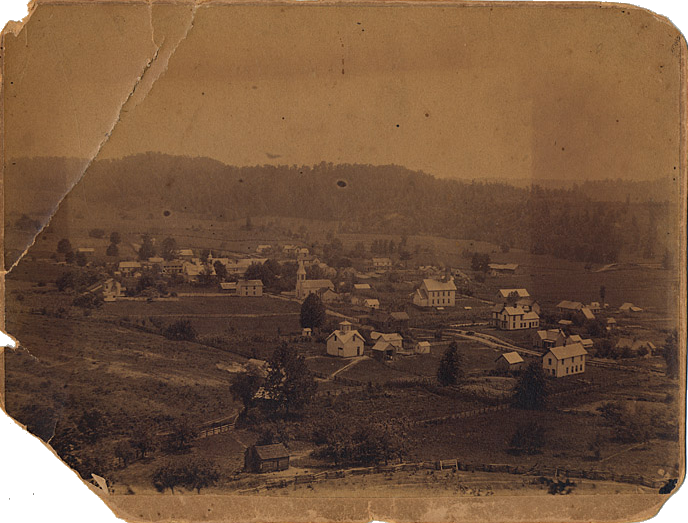 Below is a photo of Hazel Green, Kentucky, believed to have been taken about 1890, about 28 years after Gen. Morgan's retreating and weary troops camped and rested in the pleasant meadows around the town, on September 25, 1862. Thanks to John Gillispie for documenting the history of this beautiful, idyllic little town.